Late summer never ceases to produce wildfires here in beautiful Central Oregon. While we are effected by the smoke and the constant scent of burning campfire, there are people working extremely hard behind the scenes and near the flames to help protect our communities. As of August 25th, the Milli fire, currently 9 miles west of Sisters, is covering over 12,000 acres. It is 32% contained with evacuations underway. Road closures include OR242 east of Cascade Crest to the junction of Forest Road 15. While we patiently wait for the smoke to clear, we invite you to visit our brewery in our beloved community of Sisters to toast to the firefighters, volunteers and “Soot Blackened Heroes!” We are offering an early release of our Firestorm Red Ale as an enormous thank you from all of us to you! Since we opened in 2008, we have brewed Firestorm Red Ale as a tribute to those who risk their lives on the front lines. 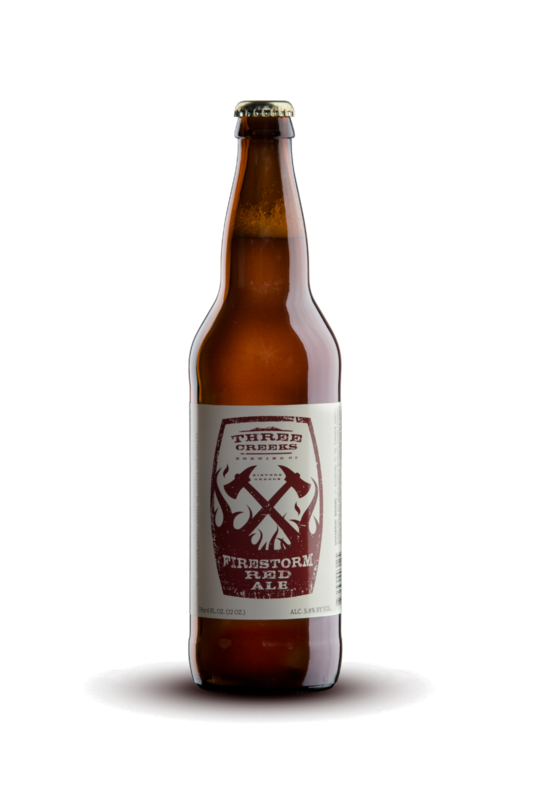 On tap starting today at our Sisters brewpub, and arriving in bottles in mid-September, we release Firestorm Red Ale. As always, we invite firefighters and volunteers into our pub for discounted pints. Thank you again for your service.